People from all over the world come to visit Siem Reap, Cambodia to explore the nearby Angkor Archaeological Park. Trust me, after those early morning starts to see the sunrise at Angkor Wat and long days exploring all the different temples, you’re going to want the best place to come home too. 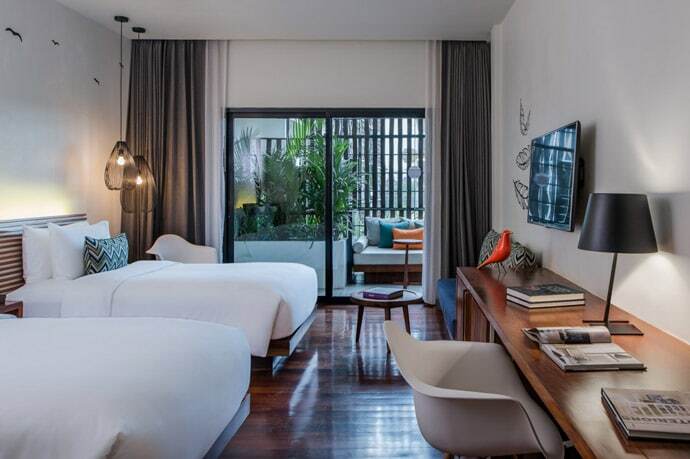 In Our Siem Reap accommodation guide, you will find our Siem Reap neighbourhood guide, and the best hotels in Siem Reap to help you decide where to stay in Siem Reap. 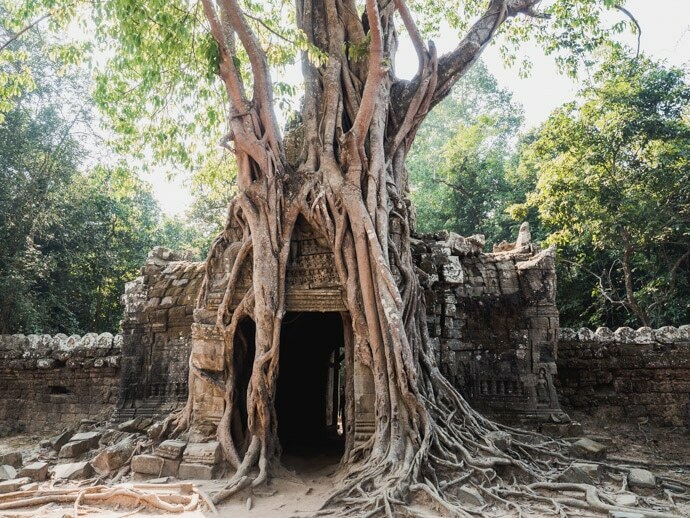 The aim of this guide is to help you choose the best area of Siem Reap to stay for you, find the best hotels in Siem Reap easily, and make planning your trip to Siem Reap simple. Siem Reap is a small town with dusty roads, often overlooked or skipped completely in favour of Angkor Archaeological Park. After spending 8 days in Siem Reap, exploring both the town and Angkor, I personally think the town is worth exploring. So keep this in mind when choosing where to stay in Siem Reap. The main two options for where to stay in Siem Reap are within Siem Reap town or closer to Angkor Wat. Angkor itself is only about a 20-minute remork (like a tuk-tuk) ride away. To decide the best location to stay in Siem Reap, the main question to ask is do I want to be closer to town or closer to Angkor? 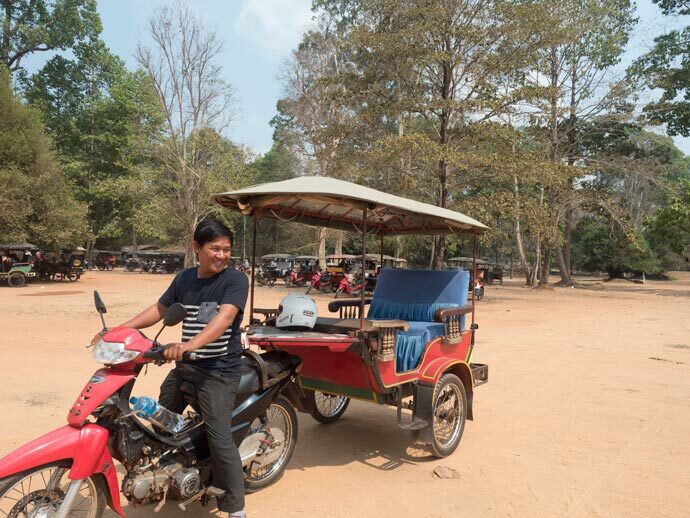 Angkor Archaeological Park covers a huge area so you won’t avoid a remork (unless you plan to hire electric bikes or ride bicycles etc) no matter how close you stay to Angkor, it will be just a difference of does it take you 10 or 20 minutes to get there. With that in mind, I personally don’t see the point of trying to stay as close as possible to Angkor. You will only be there during the day, and at night when you come back to your hotel there won’t be much around you, so you will need to get a remork into town. 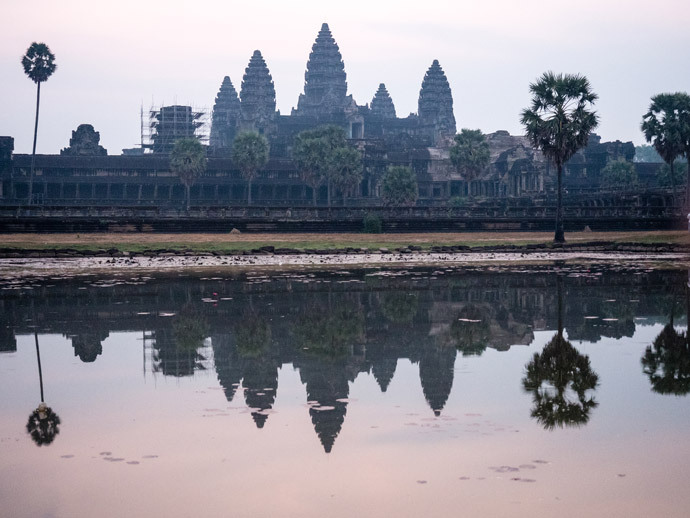 The exception to this is if your main goal is Angkor, you only want to see the town for one evening, and/or you’re staying in an amazing hotel where you want to dine at their restaurant and have relaxation time (e.g. spa/massages and other activities at the hotel). The area near Angkor Wat is based around Charles de Gaulle Boulevard. Charles de Gaulle Boulevard is the best area to stay in Siem Reap to be close to Angkor Archaeological Park. Siem Reap is only a small town. You can stay near the main part of town, on the outskirts, or across the river. Siem Reap neighbourhoods include the Old Market Area (the most central part of town), the Old French Quarter (neighbouring the Old Market Area), Wat Damnak area (across the river from the Old Market Area) and Wat Bo area (across the river from the Old French Quarter). There is also the area around Sok San Road, which is just outside the Old Market area, and then the outskirts surrounding the town. 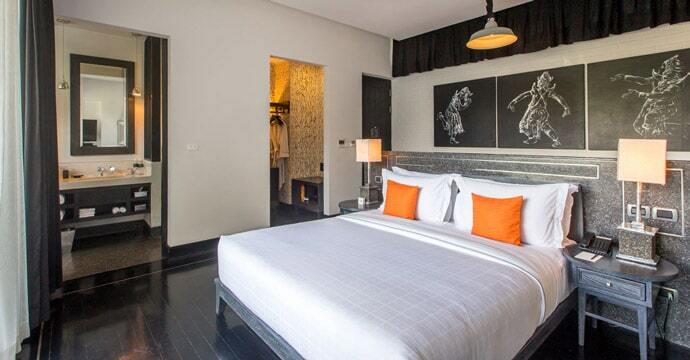 So where to stay in Siem Reap to be central? Stay near the Old Market area (around Pub Street and the markets) and the Old French Quarter Siem Reap if you want a short walk to most things in town and a lively atmosphere. Stay across the river if you want to be close to town, but have a more relaxing stay. Here you will have boutique hotels and budget accommodation options popular with backpackers. Wat Bo is a great pick for where to stay in Siem Reap to get value for money. Stay on the outskirts of Siem Reap if you want a relaxing stay, but also not be too far from town. If you stay on the outskirts, I’d try not to stay too far away, so as you can still walk into town as remorks will be harder to come across. 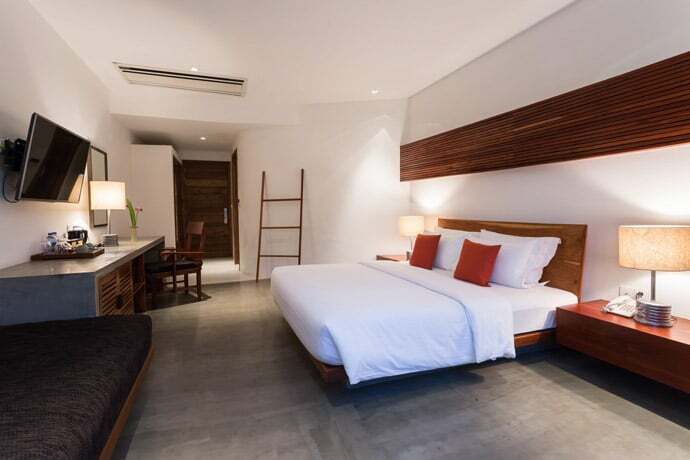 So where to stay in Siem Reap? 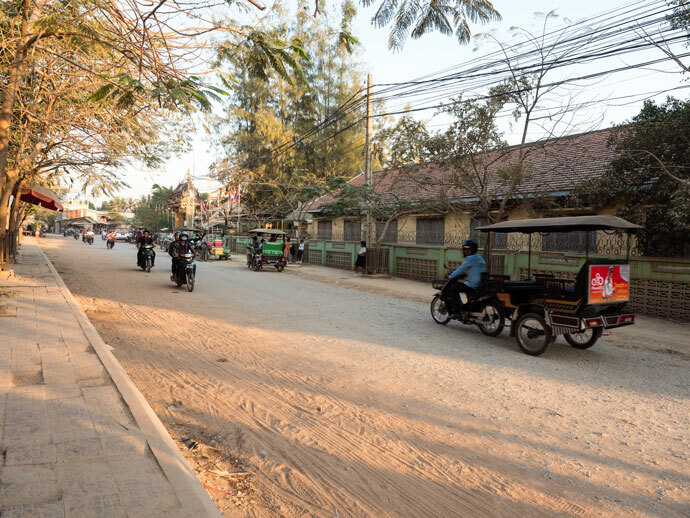 We stayed just outside the Old Market area in Siem Reap itself, not right in the main streets, but a short 10 – 15 minute walk away. I think this worked well, if anything, staying slightly closer would have been better. 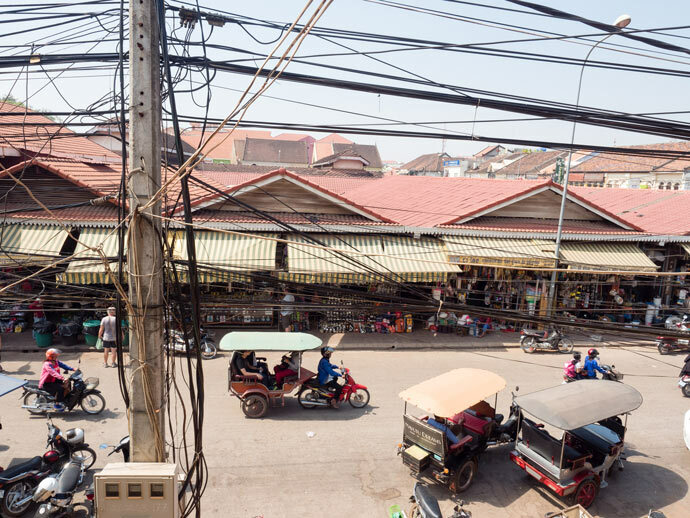 I think the best area to stay is within Siem Reap town, the Old Market area and the Old French Quarter, but not right around the main streets. This way you can walk to most places, have easy access to remorks for other areas and are still only about 20 minutes away from Angkor Archaeological Park. When booking accommodation in Siem Reap, there are two main websites that I use. Please note: Prices below were based on peak season, per night. I love the design and location of Park Hyatt. 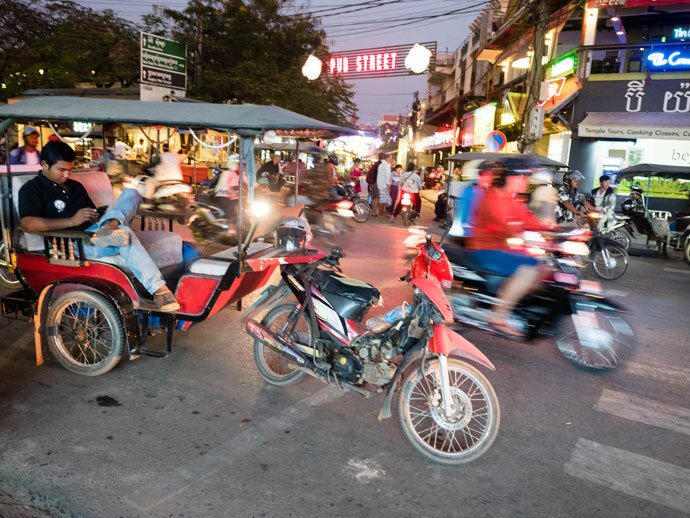 Located within Siem Reap, it’s only a short walk to restaurants and markets and about a 15-minute remork ride to Angkor. 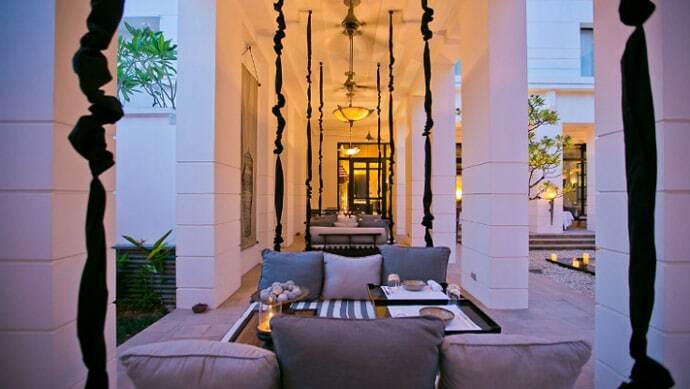 The interiors of the hotel are stunning and it’s one of the top luxury hotels in Siem Reap. Although a little more on the outskirts, this property is unique in its traditional meets French design and is a place that deserves your time. Phum Baitang offers some complimentary shuttle services. Belmond is a beautiful resort that is located in the Wat Bo area. From here you can easily walk to the Old French Quarter and Old Market area. Anantara is a brand we have stayed with before in Bali (Anantara Seminyak & Anantara Uluwatu) and have loved our experience. Anantara Angkor is a boutique hotel located between the Airport and Siem Reap town, which perhaps isn’t the best location as you can’t walk into town, but as they offer complimentary transfers into town, this really isn’t too much of an issue. 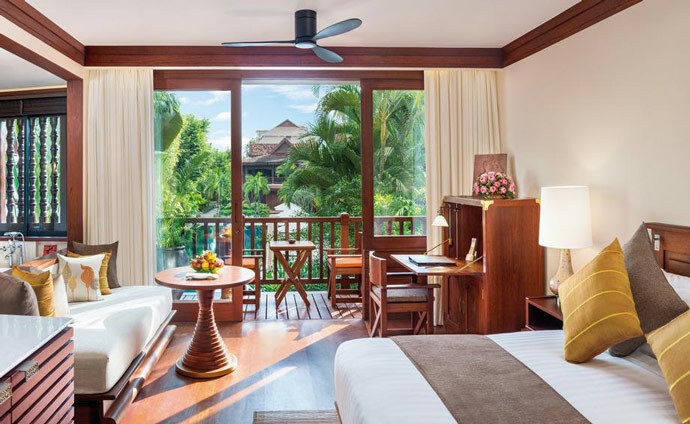 The rooms and grounds reflect traditional Cambodian design. 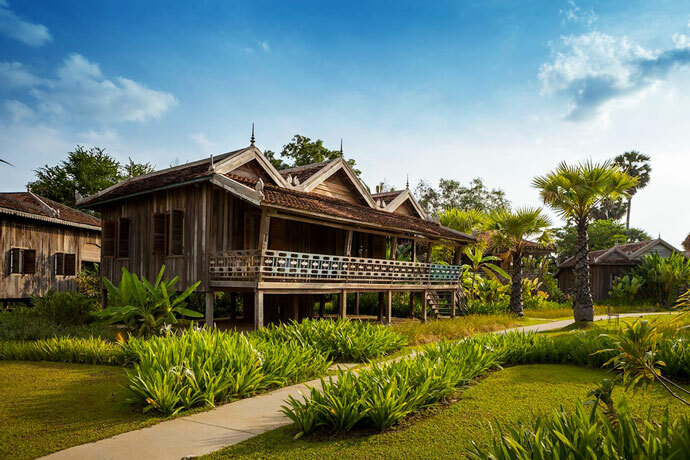 Sala Lodges consists of 11 traditional wooden houses, each found in Cambodia and restored. 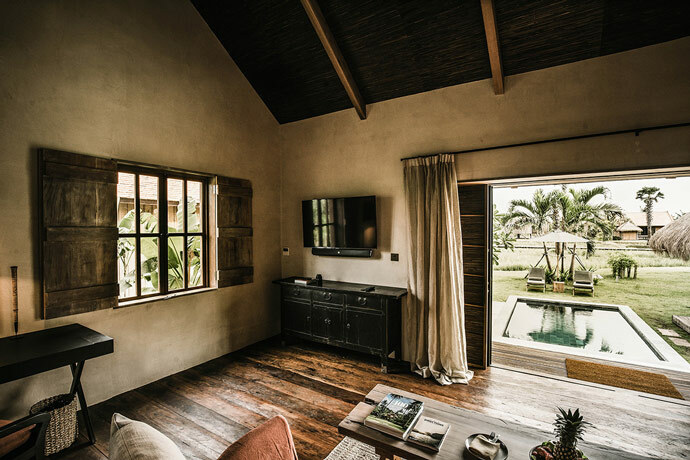 Situated on the outskirts, stay here if you’re looking for simple authentic luxury. 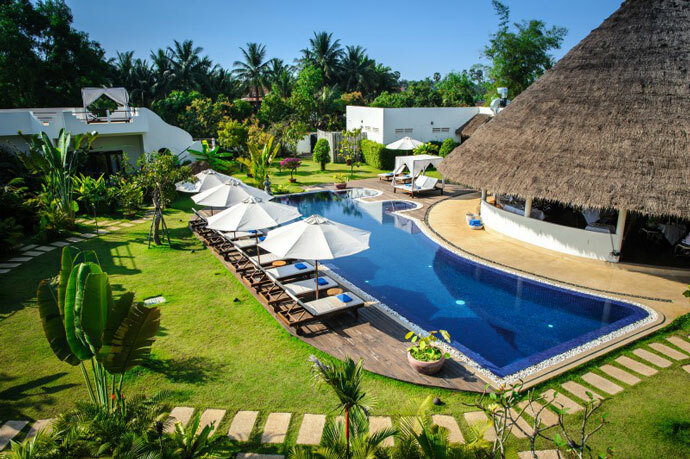 Shinta Mani Club is in a great location, 5-minute walk to the main streets of Siem Reap and about a 15-minute ride to Angkor. 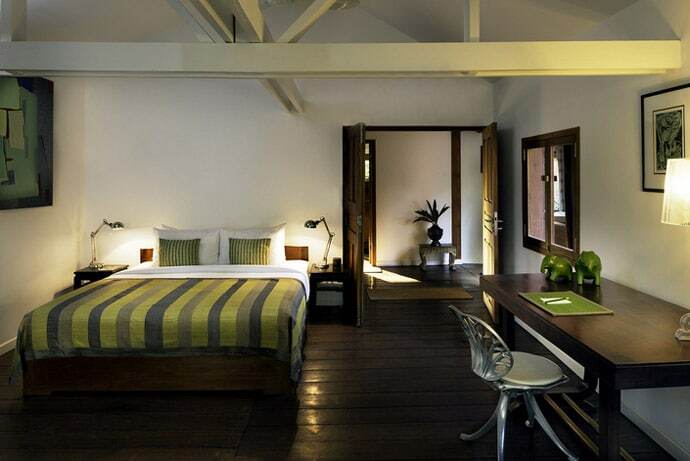 Shinta Mani Club is a boutique hotel with a beautiful design by Bill Bensley. 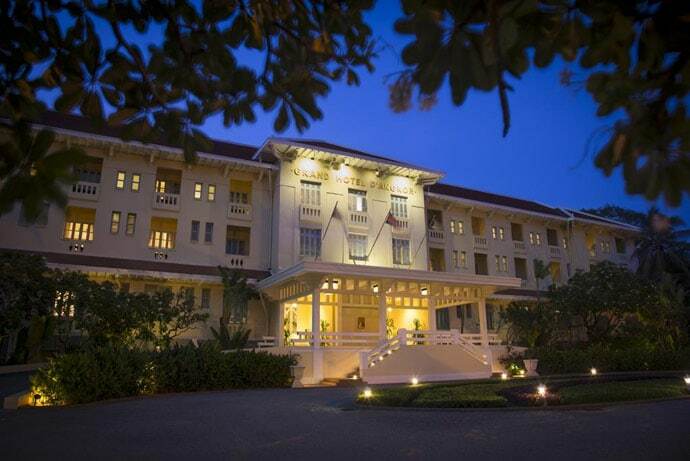 Raffles Siem Reap is a stunning historic hotel located on Charles de Gaulle Boulevard. Its location makes it a little quicker to get to Angkor Archaeological Park, but also a little further away from Siem Reap town. 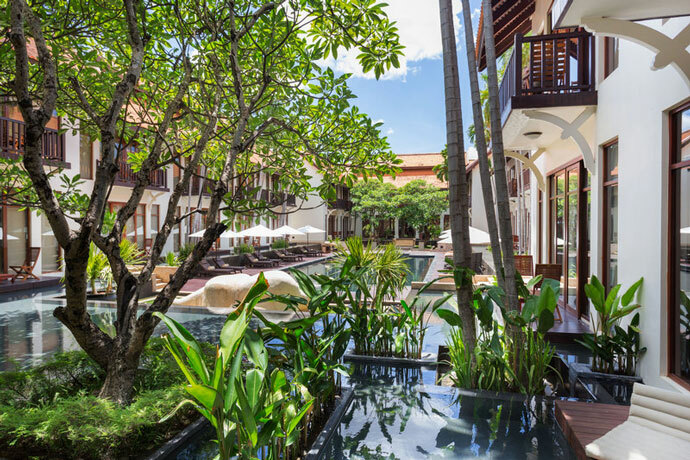 But with the amazing grounds and facilities of Raffles Siem Reap, you will probably be wanting to spend quite a bit of time here enjoying it all. Navutu Dreams Resort has a unique design that will really make you feel like your on holidays. Although it’s located on the outskirts of Siem Reap they also offer a free daily remork. Located across the river but still within walking distance of the main streets. 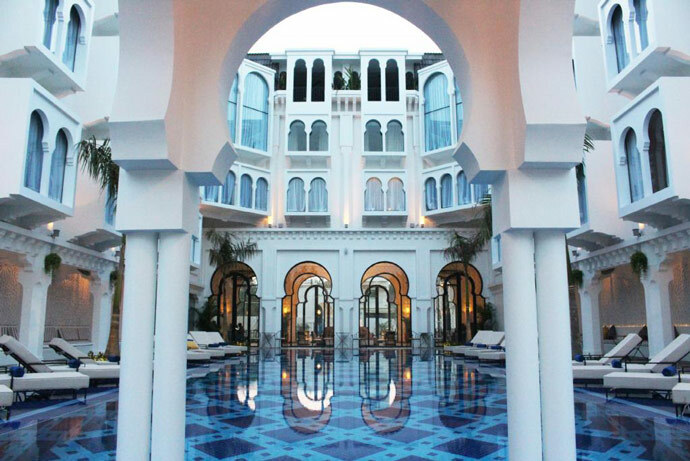 Sarai resort has a beautiful and luxurious design. Maison Polanka features traditional wooden houses and beautiful design. Heritage Suites Hotel are located across the river and more on the outskirts of Siem Reap. They have a nice design and come well reviewed. 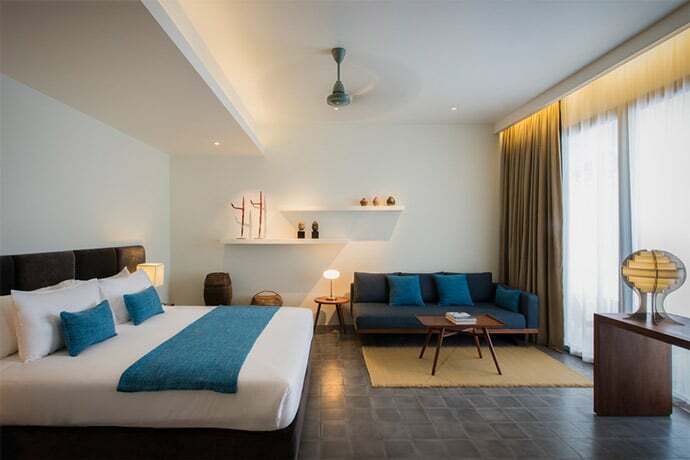 Clean modern design and situated within Siem Reap town. A great location if wanting to explore more of Siem Reap and have restaurants within walking distance. A great location across the river but still within walking distance to the main streets of Siem Reap. 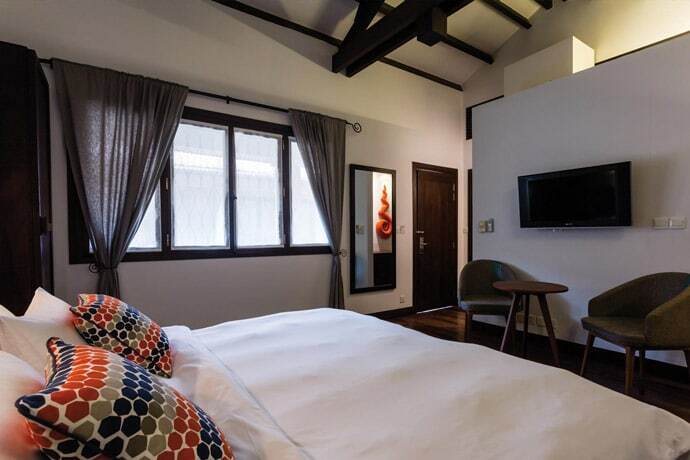 Lynnaya Urban River Resort rooms have a beautiful design and simplicity. Stunning design, excellent location and extremely well reviewed, Viroth’s Hotel is one of my favourite picks. Well reviewed 4 star hotel in the centre of Siem Reap. Sister property of Viroths Hotel, Viroth’s Villa also has a beautiful design and an excellent location. Although on the outskirts, they offer free daily remork into Siem Reap. With modern rooms and great reviews, it’s definitely value for money. We will continually update this post to make sure we are recommending the best Siem Reap Accommodation.